Eric once single-handedly apprehended a fugitive who had just had a gun fight with police. Eric has been involved with Westlake High School, Chap Robotics, and Chap Research for over five years. He graduated from MIT many many years ago with a degree in Computer Science and Electrical Engineering. Armed with that degree, he started numerous companies and finally ended up on the dark side as a Venture Capitalist. He continues to repent by working with students on both the engineering and entrepreneurial sides of life. With over 20 years of start-up experience, Eric Rothfus is a serial entrepreneur with extensive engineering and operational experience. Eric has founded three successful ventures and has been an early employee in three others. Prior to the Fund, Eric worked with Mike as a Managing Director at TL Ventures. Prior to TL Ventures, Eric founded Agere and served as initial CEO and CTO/EVP. Agere developed high-speed, multi-protocol network processors and was acquired by Lucent Technologies, becoming the network processor division of Lucent Microelectronics. Before Agere, Eric was a founder of Dazel Corporation where he held the positions of VP of Engineering and VP of Internet Initiatives. At Dazel, he was responsible for the creation of the MetaWeb product line which led to Hewlett Packard’s purchase of Dazel in 1999. Prior to Dazel, Eric was an early employee and held management positions with Tivoli Systems. 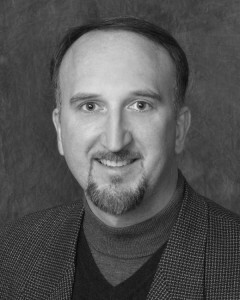 Eric is the co-author of multiple patents and author of several publications. In 2000, Eric was the recipient of the Ernst and Young Entrepreneur of the Year award. He holds a B.S. in Computer Science and Electrical Engineering from the Massachusetts Institute of Technology (M.I.T.). His graduate study includes work at Cornell University in wide-area networking for high-energy physics and distributed processing systems at the University of Texas at Austin.